Praxia Partners bridges the gap between theories on social justice, public policy, and economic development and their practical application. We advance the triple bottom line– protecting people, the planet, and profits– through interdisciplinary, multifaceted strategies that nurture sustainable development and community investment. Each initiative engages partners and harnesses community resources in order to reach our shared goal of equality, sustainability, and prosperity. Learn more about our work. How do we achieve this? Praxia Partners is a family of initiatives united in pursuit of the triple bottom line: advancing community, economic, and sustainable development. Community Renewable Energy, Accord Management, Community Building Partners, Affiniti Partners, and Sustainable Community Investment Fund support community-building in Columbus, Ohio and across the nation, and Praxia Partners’ Bridge Program bridges the gap between an ingenious model and full-scale implementation. 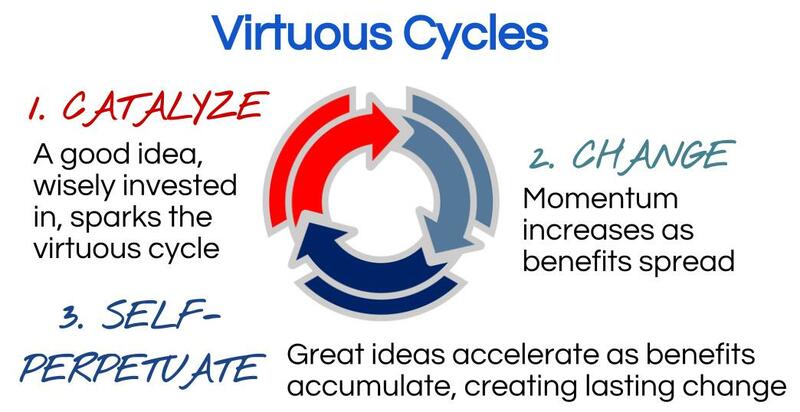 Good is self-perpetuating in a virtuous cycle. Rather than a vicious cycle, which feeds off of deprivation and exploitation, a virtuous cycle benefits not simply a single organization, but also society as a whole. Why pursue the triple bottom line? Thoughtful economic growth doesn’t sacrifice people or the planet for profits. Community development allows neighborhoods to flourish by supporting healthy growth and providing a platform for economic progress. 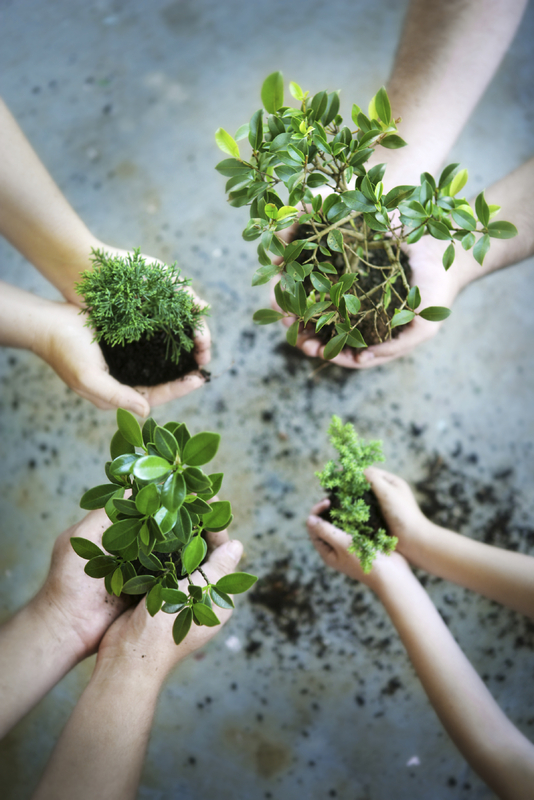 Environmental stewardship creates jobs, strengthens organizations, and makes every neighborhood verdant and vibrant.